BONES is officially adding another squintern to the mix: almost two months after BONES producers Hart Hanson and Stephen Nathan teased that a script was in the works with a new intern, a rep for the show has confirmed that Brian Klugman has landed the role. According to TVLine (who was first to break the casting), the new squintern is named Oliver Wells, has four degrees, and isn’t intimidated by Brennan…which could either please her greatly or annoy her to no end. Klugman is tentatively set to make his debut on BONES in late February. 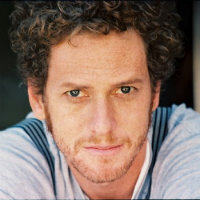 Um, does anyone else see a slight resemblance between Klugman and BONES star TJ Thyne (Hodgins)? BONES returns with (back-to-back) new episodes January 14, 2013.